Seriously offensive content within – you have been warned! 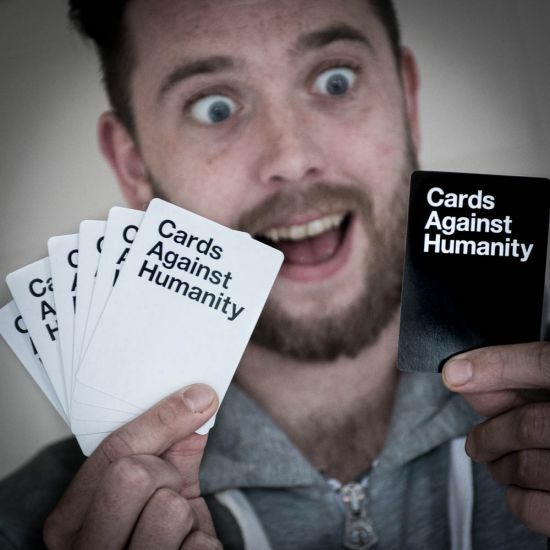 Everyone and their significant other knows what Cards Against Humanity is, or at least you bloomin’ well should do given how much of an iconic part of our culture it’s become. For those of you living under a rock at present (how’s the real estate value coming along? ), the concept is simple. You have between three and twenty players (or more if you feel like being there all night). The players have a pile of fill-in-the-blank style black cards, and each player draws ten white cards. Every turn, one of the players is the “Card Czar”, takes a black card from the pile and reads it out. Each player presents one (or more) white cards to fill the blank, and the Czar picks the funniest answer. The person who gave that answer gets the black card, and the player with the biggest pile of black cards wins. The twist? The humour is satirical, risqué and sometimes straight up offensive. Jokes about the state of the American Presidency, depression and copious amounts of Nazi humour (we did say offensive!) are on the table, quite literally. 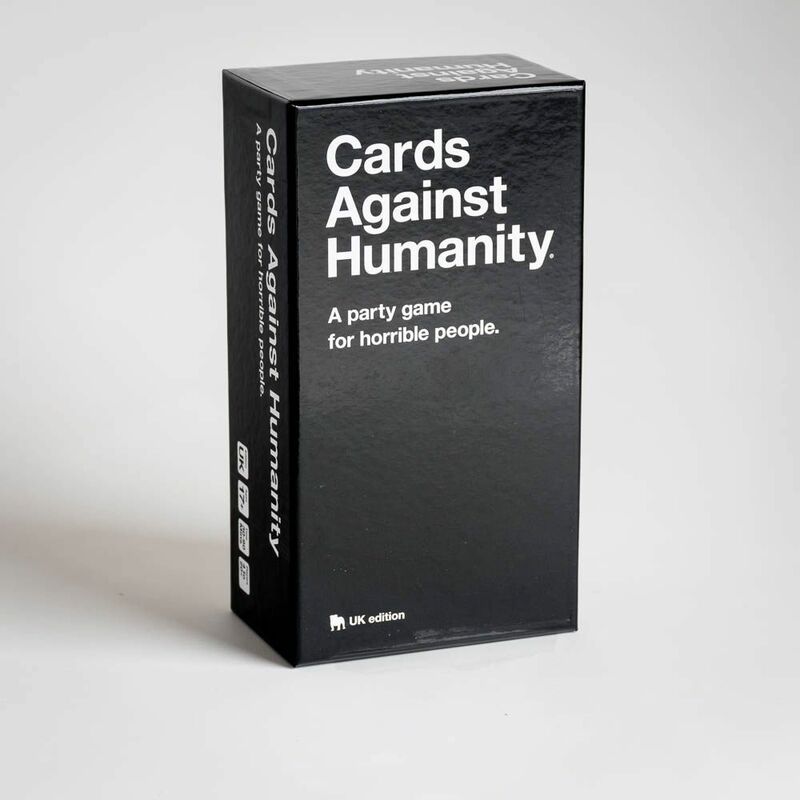 Now, finally, we can offer you your very own Cards Against Humanity set, potentially offensive content 100% intact. You have been warned.